Overview. Achieving Sustainable Development in Africa: A Governance Perspective. Foreign Aid Goals and Practices. Human Development and the Millennium Development Goals: Donors, Aid, and Sustainability. Aid, Institutions, and Human Development. Millennium Development Goals and Poverty Reduction Strategies. How U.S. Africa Command Conducts Assessments. Why Population Dynamics Matter for Climate Change and Sustainable Development in Africa. Building Local Capacity and Creating Awareness in Conserving the Mau Forest and Water Resources. Toward Environmental Sustainability: The Case of the Torgorme Irrigation Project in Ghana. Identity and Governance. Sub-Nationalist Movements in Africa: Implications for Governance and Sustainable Development. 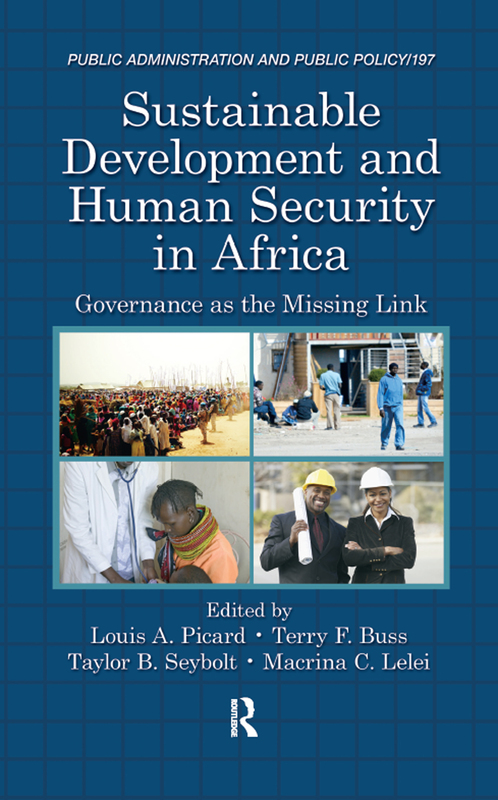 Identity Politics, Governance, and Development in Africa. Religious Movements, Governance, and Development in Africa. Governance and Development. Determinants of Subjective Well-Being in Ghana: An Exploratory Micro-Level Study. Developing Hearts and Land: A Case Study of Reconciliation, Governance, and Development in Rwanda. Violence, Development, and Democracy in South Africa. Evaluating Governance Programs: Donors and Political Parties in Morocco. Fiscal Responsibility, Sustainability, and Governance: Local Government Financing in South Africa. Conclusion. Governance and Development in Africa.